EverBlock tent flooring is ideal for corporate, residential, and industrial tents and shelters. Unlike other interlocking flooring systems, EverBlock tent flooring is a SYSTEM, meaning it integrates with other versions of EverBlock flooring as well as with EverBlock building blocks. This versatility allows for previously unimaginable combinations – tent floors with inlaid dance floors, with raised floors for runways and staging, all integrated with walls and more….. No other system provides such ease of use, combined with the incredible versatility of EverBlock Flooring. Additionally, EverBlock tiles offer a finished floor look, meaning you don’t have to cover the floor with carpet to hide an industrial look. Our connectors are hidden from view, meaning that all you see is a crisp, clean, event-worthy look. EverBlock is the only tent floor that lets you alternate sizes, versions, colors, and wood finishes within the SAME floor, providing the ultimate in design flexibility. Mix drainage and non drainage tiles, wood and non wood tiles, and 12″ x 12″ and 18″ x 24″ tiles on the same project. 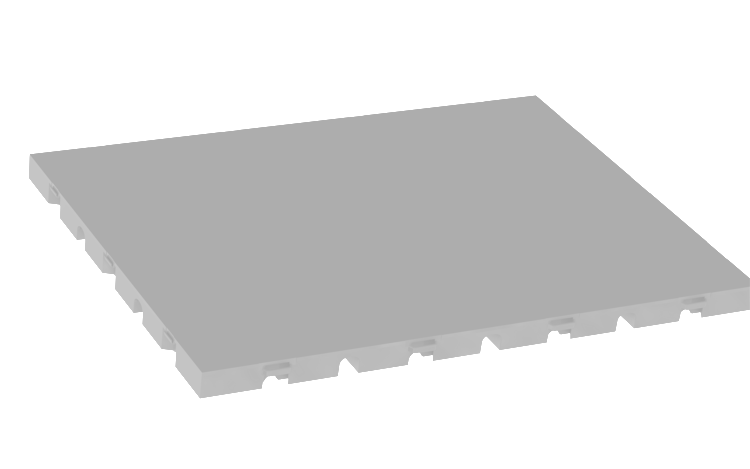 Blocks are completely chemical and water resistant and can be used in wet environments continuously. Once installed, EverBlock tent floors lets water drain and flow underneath, providing a stable surface and keeping your guests dry and out of the water and mud. Because of EverBlock’s unique, structural cross-ribbing system, it will distribute weight effectively and protect natural and synthetic grass from damage as a result of foot traffic and the weight of event equipment such as bars, furniture, golf carts and Gators. Use EverBlock interlocking tent flooring to protect the grass inside dining, kitchen, and event tents for large or small-scale functions. Use as pathways between tents and over varying and undulating ground. EverBlock tent floors will protect your clients valuable lawns, parks, sports fields, and grounds against wear and tear and prevent damage from pedestrians, golf carts, and rolling equipment. 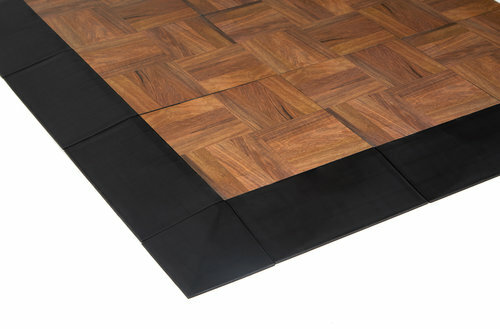 Use our vinyl laminate tiles to create a black, white, or wood grain look for dance floors, general event floors, or for more elegant affairs. Mix and match standard EverBlock colors to match corporate or event colors and themes and to create unique decorative designs and patterns. 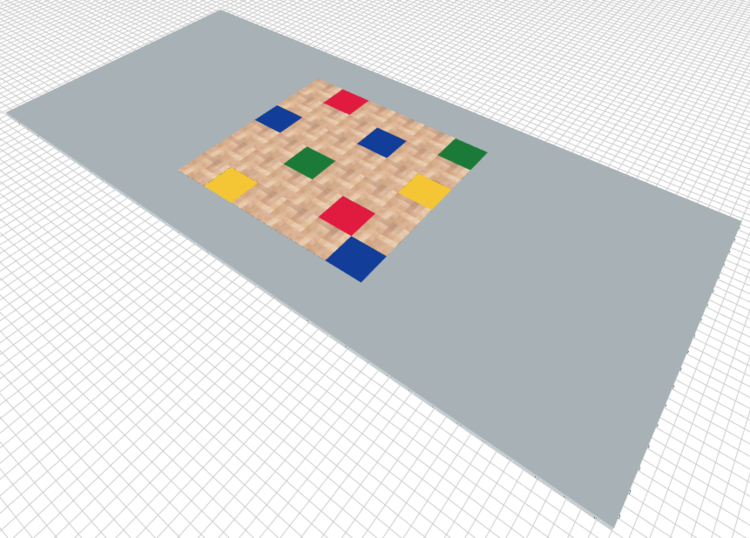 For a more finished look, carpet may be laid on top of EverBlock tent flooring and can even be taped or stapled to the floor, should this be desired. 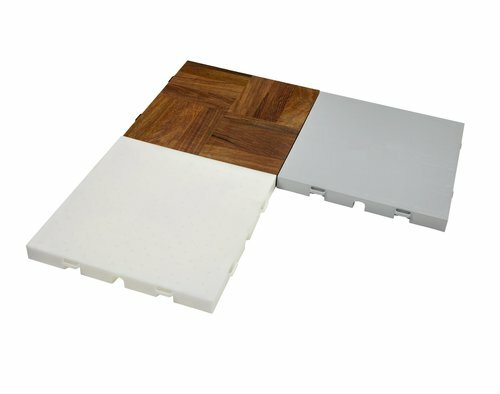 You can even utilize the EverBlock Dance Floor, in conjunction with a solid colored EverBlock floor and mix and match wood patterns with solid colors, as needed, creating stunning designs. Run electrical and communication cables underneath EverBlock for tent lighting, exhibits, and other in-tent needs, using the integrate cable channels running through all tiles. 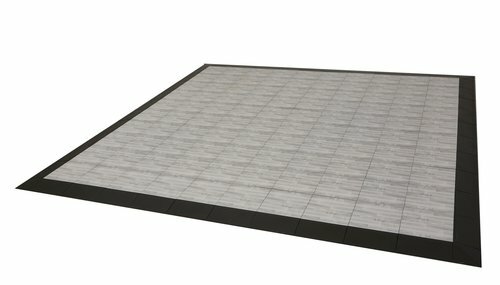 Remove and stagger the modular EverBlock flooring sections to fit around tent poles, or to accommodate unique site obstacles, such as fences, landscaping features, or immovable structures. EverBlock tent floor will follow the contour of undulating floors while still providing a uniform and solid surface for walking, dancing, and more. EverBlock transports in 3ft x 4ft panels, allowing for rapid installation by a minimal crew. A 20×20 tent floor can be installed by 2 people in about 15 minutes. 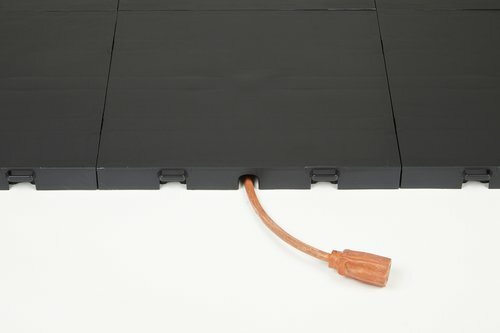 Due to EverBlock’s unique connector design, sections can be nudged by foot into their connection position and then snapped into place with a simple step. This speeds installation and improves worker safety. 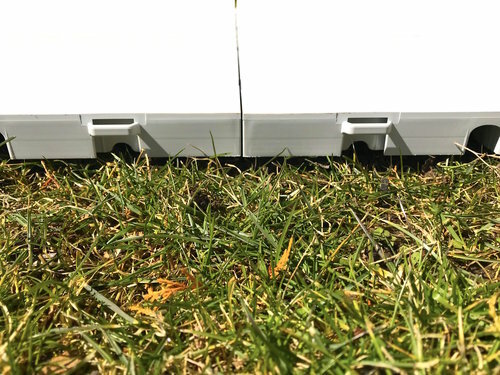 To remove sections, simply lift EverBlock up at an angle, disengaging the tent floor panels for transport and further use. A simple broom handle or pole can be used to elevate sections to the right angle for detachment and will speed the breakdown of flooring sections. EverBlock Flooring works with our standard EverBlock building block system, allowing you to create walls and dividers, event décor, and event furniture such as seating, bars, and catering stations.